DCMM welcomes new jury members! The DCMM is happy to announce 3 new jury members from various trade magazines! Information on the registration deadline! 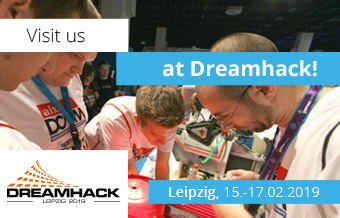 The registration for the 17th International German Casemod Championship at Dreamhack Leipzig 2019 will close on the 2nd of December 2018 at 23:59h! Register here with your Mod!